Long dependent on oil, the West African nation of Angola is now on the path of economic diversification. The focus is on agriculture and tourism, which means developing the country’s infrastructure, particularly with regards to energy supply. For this, Angola needs private investors. It's important for entrepreneurs in Angola to start looking at other sectors than oil. It's a country with many resources, and we need to act responsibly, in a respectful and transparent manner, and invest in new technologies, to boost economic diversity and position ourselves at an international level. “According to the World Investment Report, Angola is one of the countries with the highest return on investment in the world. The experts we met said this is the right time for investors to position themselves on the market, which is expected to double by 2045,” says Euronews reporter Serge Rombi. Meet Elizabete Dias Dos Santos, one of Angola’s most successful businesswomen. Euronews visited her new, high-tech fish processing plant. She invested 25 millions dollars in the factory which opened last October. Chain production of this kind is unique in Angola. 120 people work at the factory, which is a motor for the whole fishing industry, representing some 50,000 jobs nationwide. “Traditional fishing is a reality in Angola. We must support this sector. 40% of our business comes from small-scale, traditional fishing,” explains Elizabete Dias Dos Santos. North of the capital Luanda lies a giant steel factory that was built two years ago, representing an investment of 350 million dollars. It was the first of its kind in Angola. Tonnes of steel are recycled in this factory, which produces iron-reinforced concrete bars – essential for the country’s modernisation. “Steel is essential for the development of any country. It’s used for buildings, roads, dams, it’s used everywhere,” says quality manager at Aceria de Angola, Luis Silva. The production capacity is huge: 500,000 tonnes a year – that’s nearly twice Angola’s needs. The aim is to start exporting. A small revolution for Angola which imports nearly everything. “Let’s develop our own resources for export, instead of allowing our resources and our raw materials to leave the country, and then importing manufactured products… It doesn’t make any sense to do that,” exclaims Aceria de Angola chairman Georges Fayez Choucair. 550 people have been trained up and are now employed at the steel plant. Moreover, the factory supplies the region with electricity and water since both had to be brought in to operate the machinery. “Five years ago, unemployment here stood at 70%. Today, it’s down to 20%. That includes both direct and indirect jobs linked to the factory,” says Luis Silva. “You can’t just invest in a new country, you can’t walk in and say ‘I have a lot money etc’. No, it doesn’t work like that. You have to include the local population in the process. It’s not an individual project but a common project,” adds Georges Fayez Choucair. And reform is underway to make it easier for entrepreneurs to invest in Angola, be they Angolan or foreign. “The Angolan economy is a young one. Being part of a global economy means we have to accept this kind of relationship, these changes, these strategic partnerships. If we don’t have that kind of vision, it will be complicated to develop a strong economy – that’s the risk. Either we open up or we shut down and die,” concludes Elizabete Dias Dos Santos. Of course, before investing in Angola, it is essential to know the country. One of the keys is to develop partnerships with established entrepreneurs. “(Potential investors) can turn either to local or foreign entrepreneurs with experience who can help them develop a new business and position themselves on a regional market, because Angola has the potential to become competitive in the coming years at a regional level,” says Georges Fayez Choucair. 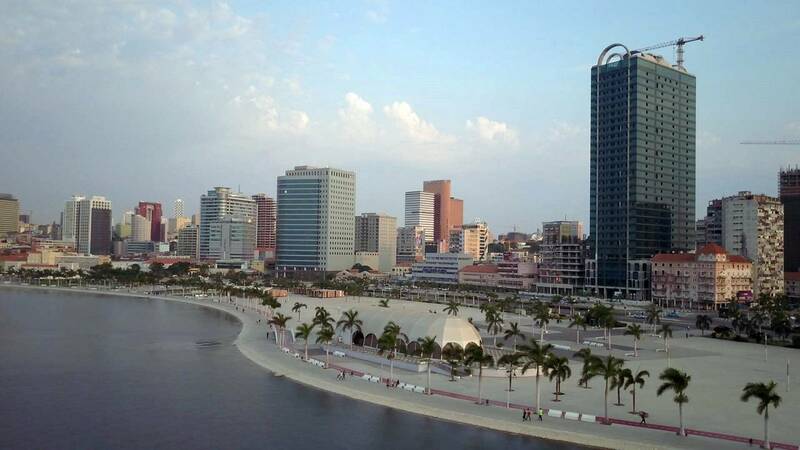 An attractive geostrategic position which represents an added selling point to draw investors to Angola.